Magic landscapes of Bali canyons have been formed for centuries. We offer you an opportunity to walk through wild jungles and gorges, see the incredible views of waterfalls and get into extreme sports without any danger. Anyone without any special climbing practice will be able to finish the track, get lots of impressions and burst of adrenaline. 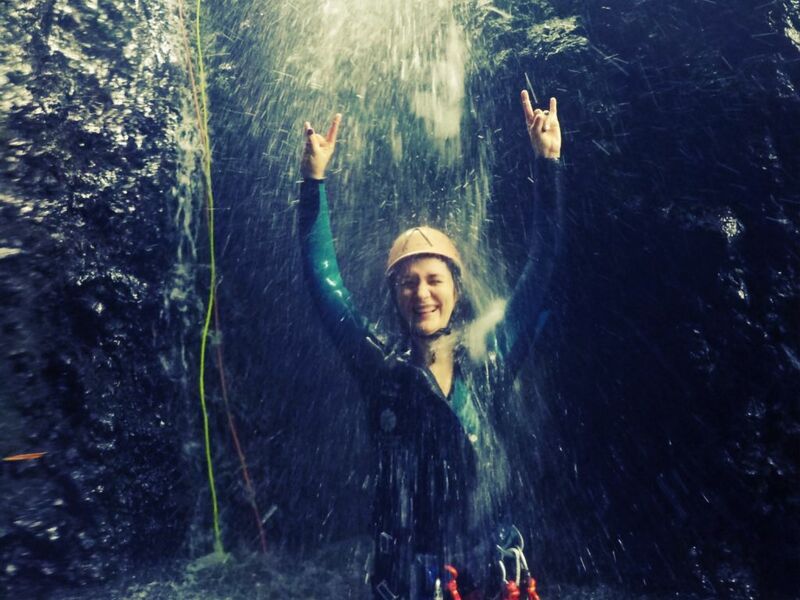 Canyoning involves many different descent options: cliff jumps, sliding, rappelling (you relax your hands and hang on the rope). Experienced instructors, ensuring your safety along the track, will bring team spirit and create a fun atmosphere. 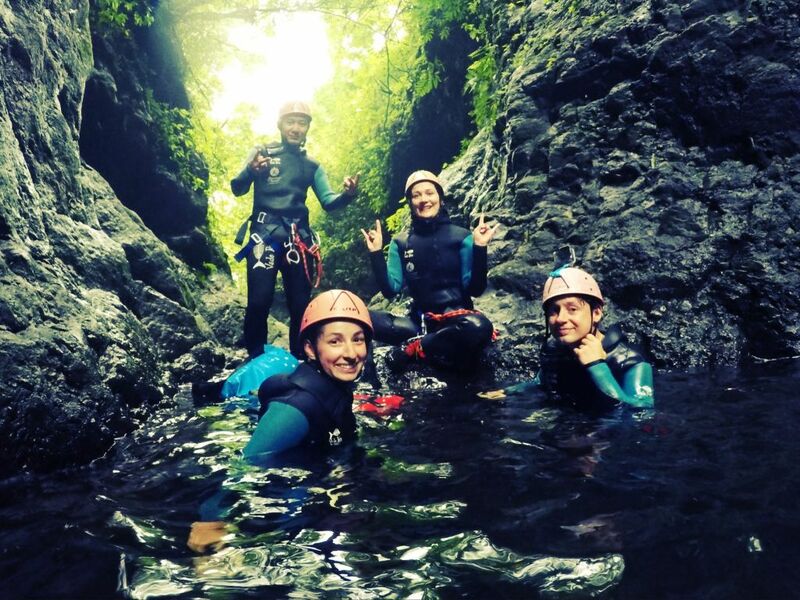 We recommend canyoning to anyone who wants to see the stunning nature of the island and spend an unforgettable day. At the appointed time of the meeting in your hotel/villa will arrive a driver of the transport company Adventure and Spirit, you need to wait for the car at the reception of your hotel or near the villa. The road to the base camp will take about 2.5-3 hours. After arrival at the base, you will be offered a breakfast of your choice: rice, noodles, pancakes, tea, and coffee. 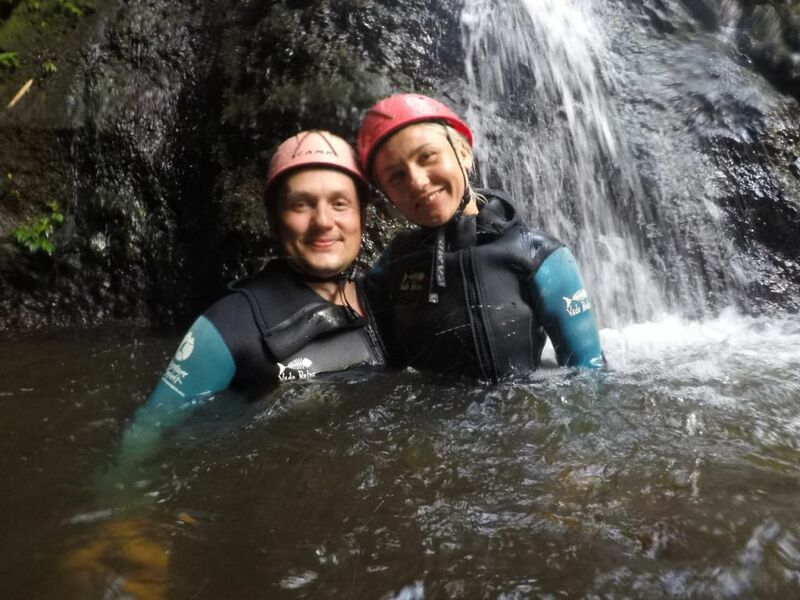 Then you will be given a briefing in English by experienced instructors on canyoning route, how to follow the instructor's directions and safety rules. 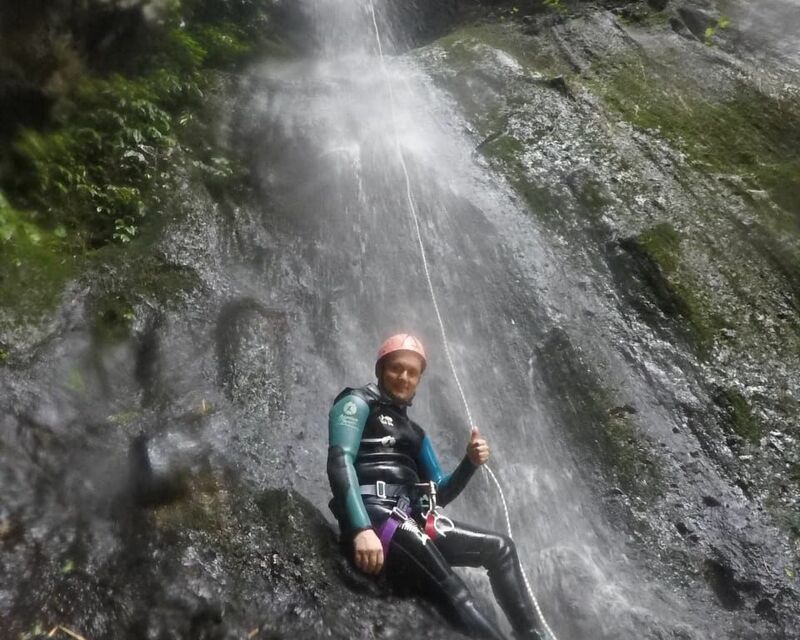 Next, you get special clothes: wetsuit, canyoning shoes, canyoning harness, safety straps, and a helmet. The instructor will show and tell you how to put on the equipment. You will be taken to the canyon by a specially equipped truck. Depending on the chosen program you will spend 1.5 - 4 hours in the canyon. After finishing the track tired but full of emotions you turn back to the base, where you will enjoy a hearty lunch. After a delicious lunch, the transfer will take you back to your accommodation. The arrival time to your hotel or villa depends on traffic, chosen tour program and the location of your hotel. The MyBaliTrips.com company wishing you a pleasant journey! 1. Canyons in Bali are incredibly beautiful. 2. It is safe, interesting and very cool to go down in a special suit and all sorts of carbines. 3. Separate pleasure - a jump from 10 meters into the boiling water. (do not be afraid - it is optional). 4. Very cool instructor and his assistants. Fantastic impression! Thank you for organizing this for us. 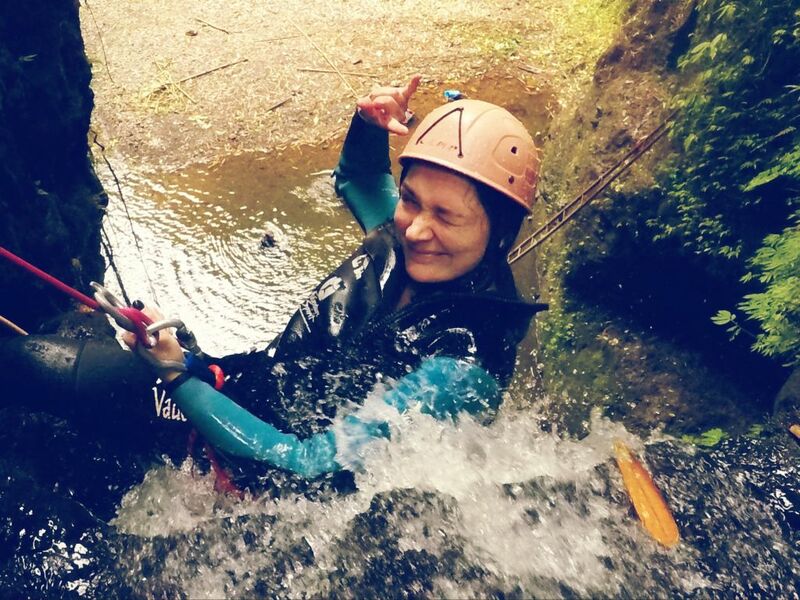 Canyoning exceeded all expectations. Было прямо круто! Спасибо менеджеру что посоветовала, первый раз пробовал каньонинг и теперь прям задумываюсь может стоит позаниматься. Привезли/увезли все во время, кормежка тоже вкусная, инструктаж на английском, но все понятно. Конечно, нужно быть немного подготовленным физически, потому что это не для ленивцев. По впечатлениям космос - полная концентрация на теле и движениях, вокруг красота и природа! Мы были с женой в восторге от всего: природа, профессиональные инструктора, выбранный маршрут, адреналин. Лучший тур из всех, которые у нас были на Бали за три недели.